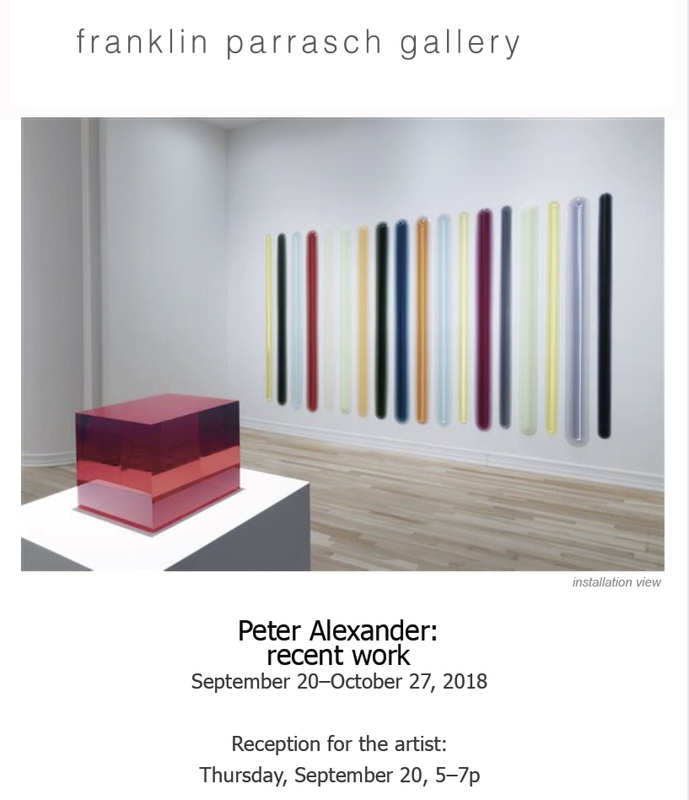 Paintings, sculptures, works on paper and installations by 35 contemporary artists will be exhibited in the galleries of the American Academy of Arts and Letters on historic Audubon Terrace from March 9th through April 9th. The Los Angeles County Museum of Art purchased the resin wall piece “Rincon” in 2014. The work is now on view in the permanent collection galleries in the Ahmanson Building on the second level ( gallery 220). Franklin Parrasch Gallery in New York will be holding an exhibition of black and white paintings and drawings by Peter Alexander in February of 2017, as well as showing work by Peter in his booth at Miami Art Basel in December, 2016. Shiny Cubes and Popsicle Sticks in a California Light & Space Artist’s Retrospective. PA © 2018 Copyright Peter Alexander. All Rights Reserved.